In 1947, The Poole and Kent Corporation first opened its doors for business — from a one-room office on Baltimore's Charles Street. Robert R. Poole and E. Robert Kent had been high school classmates and college roommates. 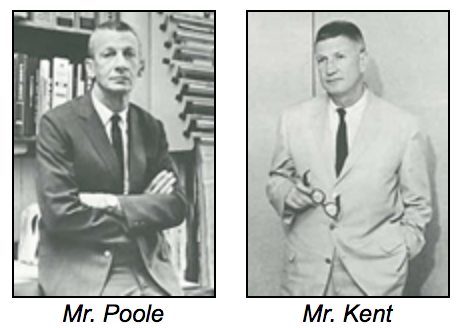 Upon their college graduation, Messrs. Poole and Kent decided to form a partnership that would supply heating, ventilation, and air conditioning (HVAC) services to the local Baltimore community. Within two years, the partners had added a plumbing component to their repertoire of offerings, and they were supplying complete mechanical contracting services. In 1952, when revenues rose to more than $2 million, Poole and Kent incorporated. From these modest beginnings, Poole and Kent has become one of the largest and most respected contractors in the world today, with revenues averaging over $180 million per year. In 1999, Poole and Kent joined the EMCOR Group of companies (NYSE: EME). EMCOR is a network of over 75 operating companies with more than 170 locations and 28,000 employees. In addition to our role as a commercial mechanical contractor, Poole and Kent also performs as a prime mechanical contractor and general contractor on various projects. We have established invaluable relationships with our subcontractors, which includes minority owned businesses, women-owned businesses, and small disadvantaged businesses. A commitment to excellence and dedication to continuous improvement and growth has allowed a small local contracting company to become the Poole and Kent of today — one of the top contractors in the world.